Plymouth has recently added additional double decker capacity to its bus service fleet in the form of 10 ex London General Volvo B7TL with Plaxton President bodywork Ex PVL 227 the last of the 10 aquired will NOT enter passenger however being converted instead into a permanent driver trainer for which it will eventually get a special version of current fleet livery its just been labelled up on 29th July 2011 as seen in this Milehouse view after she was completed. 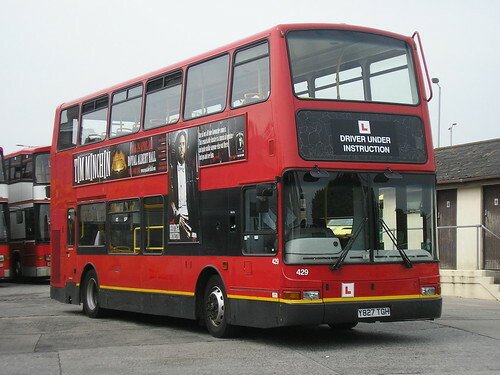 Thanks to Jason for this first of 429 the dedicated training bus. Cant wait to see what the dedicated training livery will be! Click the photo to go to more of Jasons photos. Has business really picked up that much since then?